It turns that we are all going to die, gruesomely. Have you ever had your eyes gouged out by wild Dragons while your flesh melts from the searing heat of its breath, and by the way poisonous snakes are already eating you from the inside out. It happens to me all the time. While this is far worse! Today Apple said that users who jail break iPhones are unlocking the seals of death, by unlocking the firmware necessary to access the cell tower network. You see, the patriots at Apple spent many sleepless nights insuring that there is no way possible for you to disrupt cell traffic on your phone or any other. The assholes that jailbreak iPhones could in theory unlock the “baseband processor” software that controls access to the cell network, and after that it would be child’s play to paralyze the network using a denial of service attack. Apple is asking the Copyright Office to forbid jail breaking, but don’t expect people to quit jail breaking these phones anytime soon. There are just too many cool apps available that aren’t approved by Apple. Returning to reality, there are all sorts of awesome and mischievous ways people can shut down cell towers. Besides dynamite, you could always hack into a less sophisticated cell phone. Any electronic engineer worth his weight could build a jammer antenna using nothing but spare parts, a simple radio tuned to the right bandwidth. If that still does not work, why not mess with its power supply. This is all just a big waste of time, and just a desperate attempt by Apple to slow the tide of jail breaking. Your post have the information that is helpful and very informative. well today death on the iPhone means that the breaker of iPhone software were very badly base band processor. I would like you to keep up the good work. 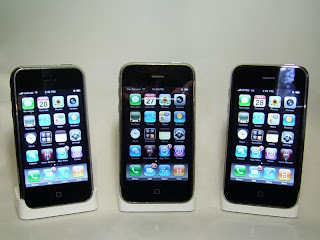 When the iPhone 3G was introduced here in Malaysia exclusively to our friendly telco, I had the impulse of committing myself to that 2 years commitment plus an upfront of over a thousand ringgit with the Value150 plan just to own that revolutionary gadget.